Hold everything, people; phone the neighbors; wake the kids: this is going to be something to see. 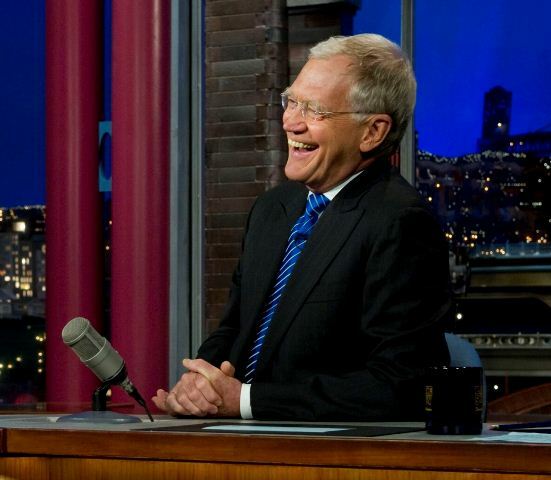 David Calvin* Letterman, comedian, television personality, heart surgery-survivor, father of one, and the longest-tenured late night host in American broadcast history, has announced the date of his final farewell from our screens. The man has been on late night television in some form or another since the first broadcast of Late Night With David Letterman on February 1, 1982. Which means that this February 1st will mark his 33rd year on the airwaves. Even Carson only made it to 29 1/2. One potential snag for CBS has been the timing of the departure. Letterman’s replacement, Mr. Stephen F. Colbert, is set to depart his own Colbert Report next week. But the network has already announced that he won’t take over The Late Show until sometime in September, which means we’re going to be stuck with some kind of ill-conceived mutation, some kind of sin against God and man for a late show all summer long. Memories of Campaign 2000 shriek at the thought. Regardless of what the network does for filler, one thing has already been confirmed: Colbert will move into the old studio at the Ed Sullivan Theater, though Letterman’s set will be struck and a new one built in its place. -If you combine the 4,124 episodes of The Late Show and the 1,819 episodes of Late Night, Letterman has hosted 5,943 episodes of late-night television–some of them pretty good. -The first guest on the first show of both Late Night and The Late Show was Bill Murray, who Vegas says is even money to be the final guest on May 20. -It’s been nearly 21 years since Madonna dropped more f-bombs than an f-bomb dropping war plane. VIDEO and PHOTOS Madonna on Letterman 9-30-09 with PIZZA!